Beyene Haile Kassa was born in Asmara in 1941 to his father Fitawrari Haile Kassa Mesih and his mother Weizero Zewditu Kidane Mesmer. When his father was transferred to work as head of a transport company in northern Ethiopia, the entire family moved to Adi Grat and Beyene attended his primary education at Agazi School and later his secondary education at the Teferi Mekonen Secondary School in Addis Ababa. When he graduated from high school, he went back to Asmara and completed his first book, Abidu Do Tibluwo, at the tender age of 18. The book was later published when he turned 23 and marked the beginning of a literature tradition which would make him well known in later years. A year after he had finished his first novel, Beyene won a scholarship to study at the American University in Beirut and graduated with a double major in Political Science and Public Administration. On his return after graduation, he first worked as Director of Personnel at the Eritrean Public Health Service based in Asmara. Later, he worked as Director of Zewditu Hospital in Addis Ababa, as Organisational Researcher at the Ethiopian Ministry of Health and later, as Principal Training Consultant at the Ethiopian Management Institute (EMI). In the immediate aftermath of Eritrean independence, Beyene returned to his country and set about implementing many projects related to training and organisational excellence. During the first part of his return to Eritrea, he conducted a series of researches of various Eritrean organisations and developed training programs on organisational excellence and leadership. This culminated in the establishment of Ercoe which eventually became Institute of Organisational Excellence (IOE) with Beyene Haile serving as its director. While still actively involved in training and education, Beyene continued to tend to his art. As well as writing various essays and articles, he completed his second book - Deqwan Teherh - in 2003 which was published to high acclaim. He followed that with a three-act play titled Heart to Heart Talk which was staged in Asmara, again, to a high critical acclaim. In 2006, he published his third book - Tisbit Bahgu. 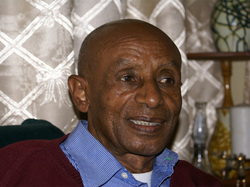 Beyene continued to write, paint and educate his most treasured students up until his death on June 29, 2012.